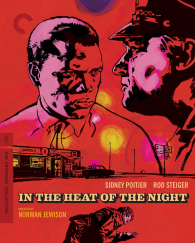 Alfred Hitchcock's Notorious, Norman Jewison's In the Heat of the Night, and more are all in the works for Blu-ray. 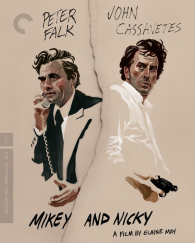 In an early announcement to retailers, Criterion is preparing 24 Frames, Notorious, Mikey and Nicky, 4 Months, 3 Weeks and 2 Days, and In the Heat of the Night for Blu-ray throughout the month of January. 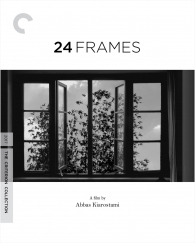 24 Frames (January 8) - For what would prove to be his final film, Iranian director Abbas Kiarostami gave himself a challenge: to create a dialogue between his work as a filmmaker and his work as a photographer, bridging the two art forms to which he had dedicated his life. Setting out to reconstruct the moments immediately before and after a photograph is taken, Kiarostami selected twenty-four still images—most of them stark landscapes inhabited only by foraging birds and other wildlife—and digitally animated each one into its own subtly evolving four-and-a-half-minute vignette, creating a series of poignant studies in movement, perception, and time. A sustained meditation on the process of image making, 24 Frames is a graceful and elegiac farewell from one of the giants of world cinema. Notorious (January 15) - With this twisting love story, Alfred Hitchcock summoned darker shades of suspense and passion by casting two of Hollywood’s most beloved stars starkly against type. 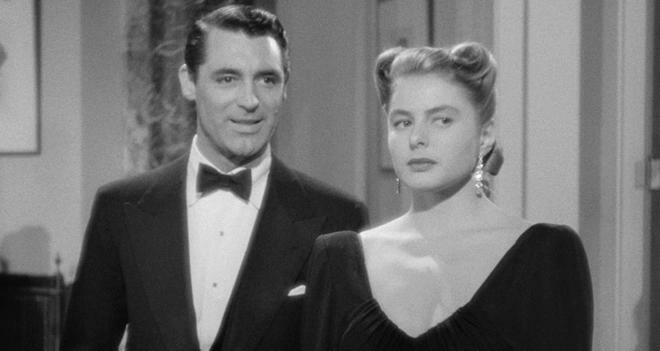 Ingrid Bergman stars as Alicia, an alluring woman of ill repute recruited by Devlin (Cary Grant), a suave but mysterious intelligence agent, to spy for the U.S. Only after she has fallen for Devlin does she learn that her mission is to seduce a Nazi industrialist (Claude Rains) hiding out in South America. Coupling inventive cinematography with brilliantly subtle turns from his mesmerizing leads, Hitchcock orchestrates an anguished romance shot through with deception and moral ambiguity. 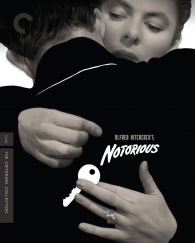 A thriller of rare perfection, Notorious represents a pinnacle in both its director’s legendary career and the pantheon of classic Hollywood cinema. Mikey and Nicky (January 22) - Elaine May crafted a gangster film like no other in the nocturnal odyssey Mikey and Nicky, capitalizing on the chemistry between frequent collaborators John Cassavetes and Peter Falk by putting them on-screen together as small-time mobsters whose lifelong relationship has turned sour. Set over the course of one night, this restless drama finds Nicky holed up in a motel after the boss he stole money from puts a hit on him. Terrified, he calls on Mikey: the one person he thinks can save him. Scripted to match the live-wire energy of its stars—alongside supporting players Ned Beatty, Joyce Van Patten, and Carol Grace—and inspired by real-life characters from May’s childhood, this unbridled portrait of male friendship turned tragic is an unsung masterpiece of American cinema. 4 Months, 3 Weeks and 2 Days (January 22) - Romanian filmmaker Cristian Mungiu shot to international prominence with this rigorously realistic Palme d’Or–winning second feature. In 1987, during the dictatorship of Nicolae Ceaușescu, college roommates Otilia (Anamaria Marinca) and Găbiţa (Laura Vasiliu) seek an illegal abortion for Găbiţa. In unflinching but empathetic detail, 4 Months, 3 Weeks and 2 Days recounts the events of twenty-four perilous hours in their lives, culminating in their encounter with a manipulative and menacing abortionist (Vlad Ivanov). With powerful performances that accentuate the characters’ flawed humanity, 4 Months, 3 Weeks and 2 Days is a gutting account of the impossible choices women face when taking control of their bodies means breaking the law. In the Heat of the Night (January 29) - Passing through the backwoods town of Sparta, Mississippi, Philadelphia detective Virgil Tibbs (Sidney Poitier) becomes embroiled in a murder case. He forms an uneasy alliance with the bigoted police chief (Rod Steiger), who faces mounting pressure from Sparta’s hostile citizens to catch the killer and run the African American interloper out of town. Director Norman Jewison splices incisive social commentary into this thrilling police procedural with the help of Haskell Wexler’s vivid cinematography, Quincy Jones’s eclectic score, and two indelible lead performances—a career-defining display of seething indignation and moral authority from Poitier and an Oscar-winning master class in Method acting from Steiger. Winner of five Academy Awards, including for best picture, In the Heat of the Night is one of the most courageous Hollywood films of the civil rights era. You can find the latest specs for all of the titles listed above linked from our Blu-ray Release Schedule, where they're indexed throughout January.